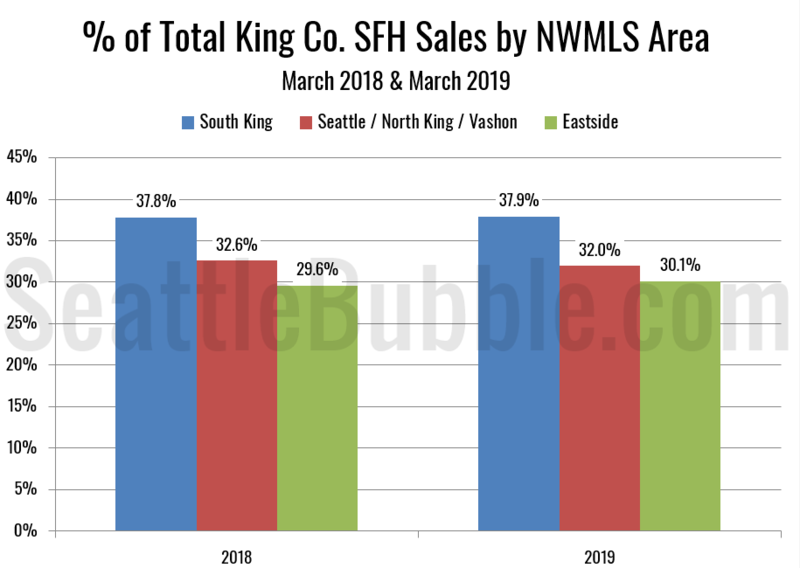 It’s been nearly a year since we took a look at the in-county breakdown data from the NWMLS to see how the sales mix shifted around the county. 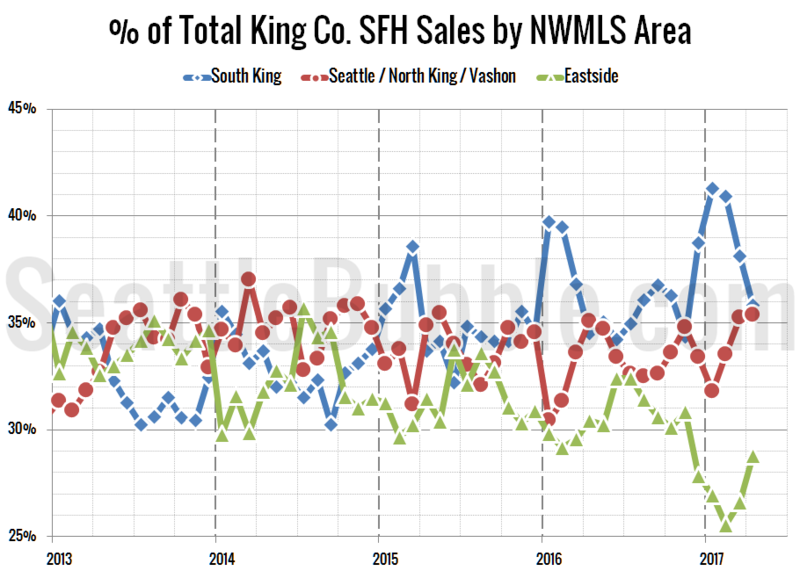 I like to keep an eye on this not only to see how individual neighborhoods are doing but also to see how the sales mix shift affects the overall county-wide median price. 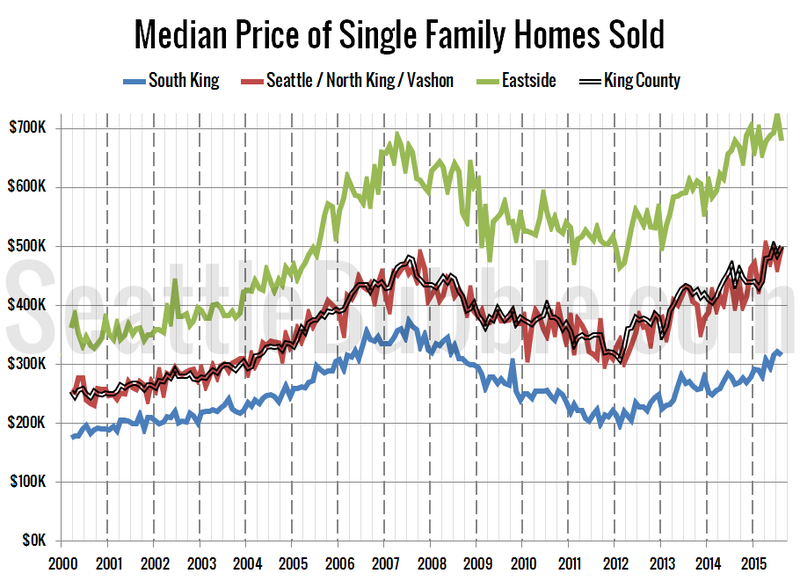 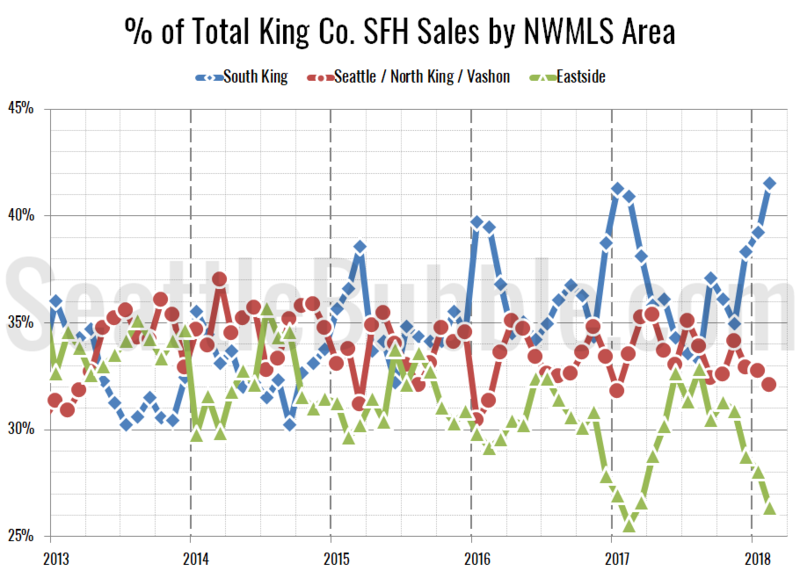 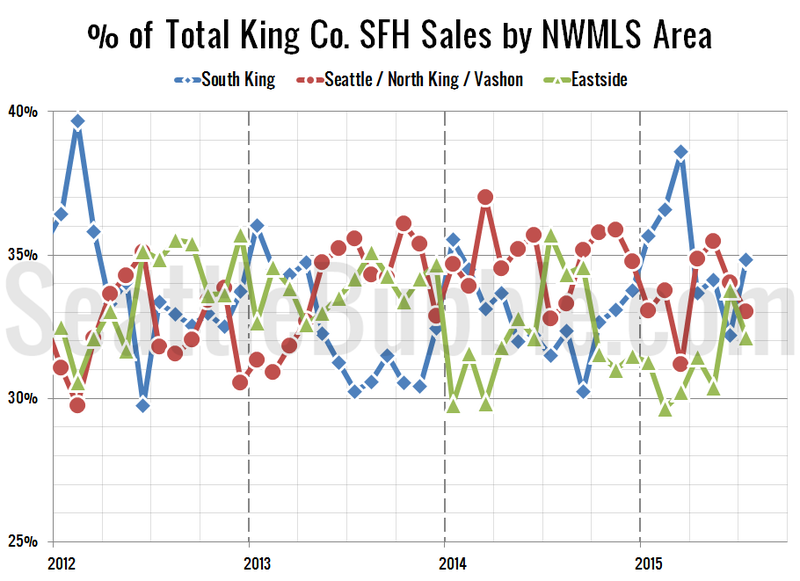 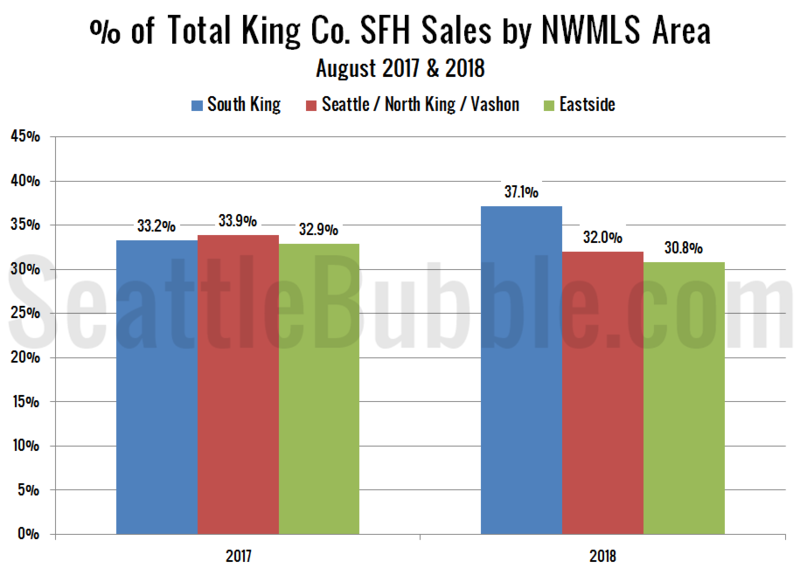 The most interesting thing in this data is that in February the share of sales in the South King regions hit an all-time high at 41.6 percent, just edging out the previous high of 41.4 percent set in November 2007 (just four months after prices peaked). 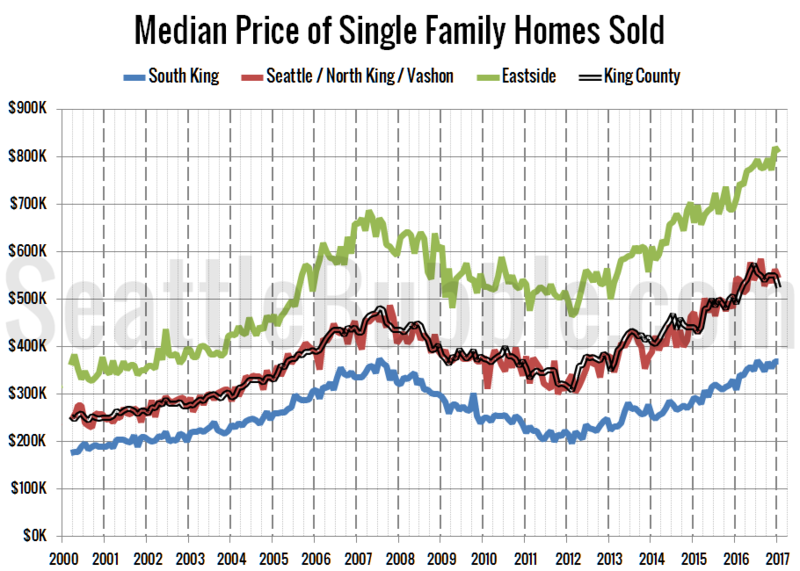 Despite this continued shift in sales toward the lower-priced regions, the county-wide median price continues to push upward.